As a leader with Mille Lacs Corporate Ventures and Grand Casinos, Andrea Bolin, Corporate Director of Strategic Initiatives, strongly believes in seeking out opportunities to help diverse working groups develop, accomplish goals, and flourish in their element. Learn how Andrea’s values, as well as Mille Lacs Corporate Ventures and Grand Casinos values, align with the work that TeamWomenMN does. What drew you to sponsoring TeamWomenMN? Our company values at Mille Lacs Corporate Ventures and Grand Casinos align with the work that TeamWomenMN does. TeamWomenMN is a wonderful organization to partner with. The resources, tools, and networking opportunities they offer support women across any industry. What experiences within Mille Lacs Corporate Ventures and Grand Casinos do you provide specifically for women? Mille Lacs Corporate Ventures and Grand Casino Mille Lacs and Grand Casino Hinckley have a woman networking club title ‘Women Impacting Women’ with more than 100 women in the club. 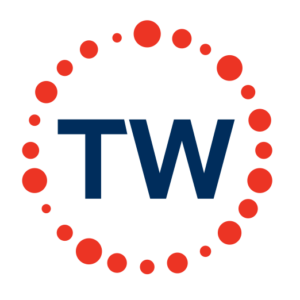 We provide networking opportunities – a lot of them coming from TeamWomenMN events, as well as sharing of information for growth and learning tools. How does Mille Lacs Corporate Ventures and Grand Casinos support other women around them, professionally and personally? What does success mean to Mille Lacs Corporate Ventures and Grand Casinos? Success is empowering, encouraging and supporting our Associates. It’s about supporting our shareholders – the members of the Mille Lacs Band of Ojibwe. It’s about ensuring a fun and entertaining experience for every Guest that enters our doors. What are three things that you tell your staff/employees/team members to do in order to become successful? We use a S.E.R.V.E. model here – Support, Engage, Re-Invest, Value and Empower. We are committed to continuously doing supporting our Associates through our SERVE model to help them become successful. Any advice you would like to provide to TeamWomenMN members? Yes! Continue to seek out opportunities to grow, never stop learning, serve others within your organization and utilize the abundance of resources TeamWomenMN has to offer. When thinking of Mille Lacs Corporate Ventures and Grand Casinos, what do you want our members to remember and share with their friends/family/peers? 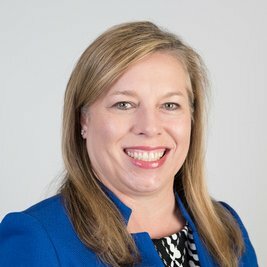 Larissa Nalipinski, VP and Relationship Manager of Business Banking, shares insights on choosing TeamWomenMN as an organization to support and how being a diverse and inclusive company makes Bank of America strong and is essential to our ability to meet the needs of clients, communities and employees. TeamWomenMN’s core value of “Women Supporting Women” is what attracted me to attend my first event. The atmosphere was inclusive and empowering; I knew I wanted to become more actively involved. TWMN is a one of a kind community that is authentically working as a TEAM to develop women to reach their full potential. LEAD (Leadership, Education, Advocacy and Development) for Women is our largest employee network with more than 26,000 members. LEAD is dedicated to promoting professional women’s development to help grow, attract and retain successful women throughout Bank of America. We provide women with leadership, development and career broadening opportunities and tools through a variety of means including information and education, advocacy, and networking. Investing in women is a key focus at Bank of America. We have a strong representation of women at all levels of our organization and our support of women is evident in the resources we have focused on bringing female talent to our company, developing our employees and supporting the economic empowerment of women around the world. We partner with universities and other organizations around the world to recruit diverse talent, offer many career development programs and events including our Global Women’s Conference, Women’s Executive Development Program, and Women’s Next Level Leadership Program. Further, we advance women’s economic opportunity and empowerment through many programs such a Women and Wealth offering through U.S. Trust, Supplier Diversity Program, NAWBO (National Association of Women Business Owners), and many more. Personally, we have the LEAD employee network, offer 16 weeks of paid parental leave, and have programs to help with child care, adult care, adoption support, as well as other employee benefits. Living our values of delivering together, acting responsibly, realizing the power of our people and trusting the team, growing responsibly and delivering our purpose to help make financial lives better, through the power of every connection. What are three things that you tell your employees to do in order to become successful? Get involved in an employee network, be open to different career moves, and take advantage of the numerous development opportunities we provide employees. When thinking of Bank of America, what do you want our members to remember and share with their friends/family/peers? Our purpose is to make financial lives better. We have 8 lines of business that can serve the core financial needs of people, companies and institutional investors. And, Bank of America is a great place to work and very involved in the communities where we live and work. Rachel Polson is a founding Board member of TeamWomenMN and a partner at accounting and advisory firm Baker Tilly. 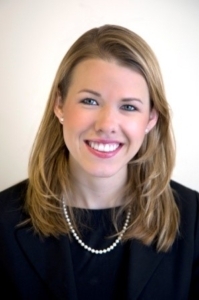 Rachel has been with the firm for 20 years and specializes in working with software and technology companies, public companies across a variety of industries, private equity funds and broker dealers. 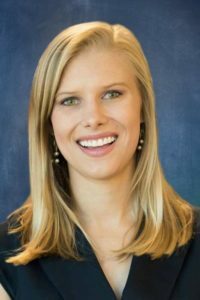 In addition to her volunteer work with TeamWomenMN on the Board and as chair of the mentoring committee, Rachel also serves on the board of the MN High Tech Association Foundation and the MN Society of CPAs and the St. Cloud State’s Advisory Board for the Herberger School of Business. We’re privileged to highlight TeamWomenMN Annual Sponsor, Rasmussen College, in this month’s Sponsor Spotlight. Patty Sagert talks about what drew her to TeamWomenMN. She outlines the TeamWomenMN characteristics that are in direct alignment those at Rasmussen College which makes it easy to understand why Rasmussen College would sponsor and support TeamWomenMN. When I first learned about TeamWomenMN four years ago, I was drawn to the organization because it was a non-profit built by women for women. It’s focus on providing resources and mentoring to empower women of all generations resonated with me. The mission of the organization aligns well with the Rasmussen College mission to empower our students, faculty, and staff to exceed expectations and enrich the community. What experiences within Rasmussen College do you provide specifically for women? Rasmussen College is run under the guidance of many strong female leaders; our current president, Dr. Trenda Boyum-Breen being one of them. At Rasmussen College, women are encouraged to be leaders in their fields. Every year we host a Women’s Leadership Networking Breakfast where students, faculty and community members engage in inspiring discussions and share useful resources. Additionally, with over half of our student population being female and many of them mothers, we know they are busy balancing their homes and careers. Our learning models, including flexible online and now competency-based education courses, are conducive to people with busy schedules that need flexible options. How do the students at Rasmussen College support other women around them, professionally and personally? The Rasmussen College mission is dedicated to supporting lifelong learners and working to meet the evolving needs of our diverse communities. This dedication is reflected in our culture and can be seen across our interactions. Students are encouraged to support each other and help others achieve their educational and professional goals. We offer the Rasmussen College Change a Life Scholarship where students can nominate someone in their life to encourage them to pursue their dreams and achieve a college degree. We see women encouraging other important women in their lives to pursue an education and ultimately with the help of the scholarship, achieve their dreams. What does success mean to Rasmussen College? At Rasmussen College, success means helping our students channel their passions into a profession they will enjoy and excel at. Success means equipping our students to be contributing members to our diverse communities. What are three things that you tell your students to do in order to become successful? In order to be successful, I tell my students to first and foremost be committed to their studies and have grit. Secondly, always have a good plan B and C. There are going to be a lot of great big things that happen in life, but there are also going to be unexpected roadblocks. It is important to always look ahead and prepare. Finally, your experience is what you make it. Engage with instructors and interact with your peers. With a positive growth mindset, you can be successful. Similar to the advice I tell my students, the experience with TeamWomenMN is what you make of it. Maximize your membership and engage with your fellow members. Always be willing to learn from those around you and utilize the resources in front of you. Finally, be present and soak up all of your experiences with TeamWomenMN. When thinking of Rasmussen College, what do you want our members to remember and share with their friends/family/peers? Rasmussen College is dedicated to breaking down barriers and making a college education accessible to all. We support all students, including adult learners, by providing a student centric, flexible and supportive environment. Rasmussen College believes in the importance of preparing students to navigate and thrive in our increasingly digital economy. Our female students are encouraged to pursue traditionally male dominated fields such as data analytics, criminal justice, and business management. 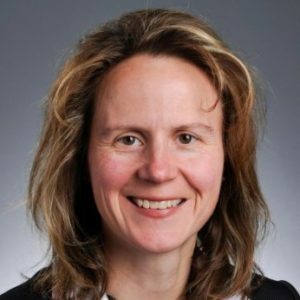 August 21, 2017 /by Campus Director | Operations Director | Services Director with Rasmussen College is also a TeamWomenMN Board Member and Chair of the TeamWomenMN Stragic Planning Committee. 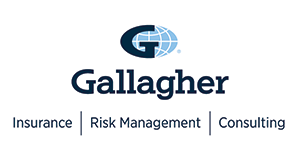 We’re privileged to highlight Gallagher in this month’s sponsor spotlight! Find out how this TeamWomen Annual Sponsor shares the same values as our organization as Marketplace Consultant Laura Buck sheds light on what it means to be a part of The Gallagher Way. What experiences within Gallagher do you provide specifically for women? Gallagher provides development programs for our female and male colleagues alike throughout their careers. Guided by seasoned mentors, our intern and extern program allows young professionals to learn about our business. Over the last five years, the Minneapolis team of Gallagher’s Benefits and HR Consulting division has averaged 45% female participation in our Gallagher Sales Internship Program (GSIP). In 2016, we were also awarded a “W” from 2020 Women on Boards in recognition of Gallagher having two women board members (22%). We have received this recognition for five consecutive years, which puts us on their honor roll. Gallagher is committed to driving an inclusive workplace for the benefit of our clients, employees and the communities in which we live and work. We strive to create a culture of respect and trust that is part of The Gallagher Way heritage and is a source of strength in the marketplace. What does success mean to Gallagher? From my perspective as a consultant for the benefits side of our business, I’d say that our holistic, consultative approach helps us optimize clients’ total return on their human capital investment. We start with a deep-dive discovery by evaluating the client’s workforce dynamics, culture and unique circumstances, and then bring together a select team of specialists in areas such as health and welfare, wellbeing, retirement, human resources and compensation, and training and development to collectively make a recommendation that supports long-term organizational success and sustainability. Ultimately, we aim to positively impact employee engagement, as well as attraction and retention results, while also helping clients to best manage their healthcare costs. Also, I’m excited to share that our business approach and operating standards have led to our recognition as one of the World’s Most Ethical Companies® by the Ethisphere Institute for six years in a row. Is there any advice you would like to provide to TeamWomen members? In addition to participating in the events, make the most of your TeamWomen membership by networking with other TeamWomen members. We need to band together to help each of us succeed! When thinking of Gallagher, what do you want our members to remember and share with their friends/family/peers? When it comes to helping employers best address key challenges such as attracting, engaging and retaining top talent, and at the same time, controlling increasing healthcare costs, both of which are central to organizational health and growth, Gallagher offers a local presence and a truly collaborative approach supported by a host of global resources. Personally, I am passionate about making healthcare more accessible, and I strongly feel that I am making a positive impact in the lives of my clients’ employees. To learn more about Gallagher, click here. 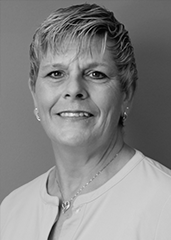 You can also find out more about Laura Buck by viewing her LinkedIn profile. TeamWomenMN Annual Sponsor-The College of St. Scholastica, in our first Sponsor Spotlight! We’re privileged to highlight TeamWomenMN Annual Sponsor, The College of St. Scholastica, in our first Sponsor Spotlight. Melissa Goodson, PhD, Assistant Professor, Management School of Business & Technology and TeamWomenMN member shares what type of organizational characteristics are reviewed when considering sponsorship and how TeamWomenMN fit their criteria, what experiences they currently provide specifically for women and what three things they tell their students to do to achieve success. What drew The College of St. Scholastica to sponsoring TeamWomenMN? We were looking to partner with organizations that shared similar values and served the same audience we serve at The College of St. Scholastica. Our values, grounded in the Catholic Benedictine heritage, are Community, Hospitality, Respect, Stewardship, and Love of Learning. We have a strong female presence in our programs. TeamWomenMN has positive energy around empowering female leaders and developing relationships – we wanted to be part of the excitement. What experiences within The College of St. Scholastica do you provide specifically for women? The college was founded for women even before women had the right to vote. Our college is currently 72 percent female and we continue to embrace core values that support our goal of being more equitable and pluralistic. We continue to cater to the needs of the working female with flexibility and community building opportunities. How do the students at The College of St. Scholastica support other women around them, professionally and personally? An active community of women is brought together with the expectation that Inclusive Excellence is essential in building relationships and that diversity in thought is crucial to learning. Equity and inclusion are key to supporting personal and professional growth. The Catholic Benedictine heritage is central to supporting the vision of academic excellence and a strong community. What does success mean to The College of St. Scholastica? Success at The College of St. Scholastica means finding yourself and your place in your family, neighborhood, workplace, community and world. It’s truly helping others find a personal path forward in life. We believe a liberal arts background provides students with diverse perspectives and thoughts achieving academic excellence for everyday good. Get to know yourself. In order to make a difference, you have to understand and reflect on your own values and goals. Where are you now? Who do you want to be? Find your personal and professional voice. Speak up and don’t be afraid to ask for help. Get comfortable sharing your thoughts and staying true to you. Do what you love. Work takes passion and commitment. If you are not happy with your career, it’s not the right career for you. Continue to actively participate and contribute to the great community of women involved with TeamWomenMN. In order to break through barriers, we need to stand together, unified, collaborative and passionate. Believe in yourselves and the good work you do at home and in the office. When thinking of The College of St. Scholastica, what do you want our members to remember and share with their friends/family/peers? Lifelong learning is important in all aspects of life. We have online and on-ground innovative programs to help people meet goals. From free, massive online open courses (MOOCs), to in-person graduate degree programs, we have opportunities to help individuals achieve their goals. We have classes in Duluth as well as St. Paul, St. Cloud and a few other sites across MN for both traditional and non-traditional students. We may be biased, but we believe the MBA in Leadership & Change is a unique, life changing experience. 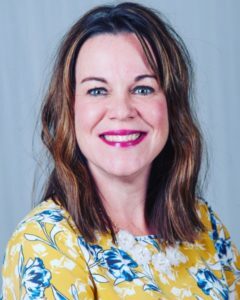 https://teamwomenmn.org/wp-content/uploads/2018/05/TeamWomen_BrandStandards_122117-2.png 0 0 AMY BEILKE | ACCOUNT EXECUTIVE | CARROUSEL TRAVEL | TEMAWOMENMN MARKETING COMMITTEE MEMBER https://teamwomenmn.org/wp-content/uploads/2018/05/TeamWomen_BrandStandards_122117-2.png AMY BEILKE | ACCOUNT EXECUTIVE | CARROUSEL TRAVEL | TEMAWOMENMN MARKETING COMMITTEE MEMBER2017-06-19 10:47:162017-06-19 10:49:29TeamWomenMN Annual Sponsor-The College of St. Scholastica, in our first Sponsor Spotlight!